O’Reilly Media, who look after printing activities for Microsoft Press, contacted me yesterday to give the good news that Microsoft Exchange Server 2010 Inside Out is now almost out of print. They plan to print a new run of the book early next month. Because most things associated with the publishing process (writing and editing are the obvious exceptions) are now digital, an opportunity exists to correct any errors that crept into the book past the eagle eye of Paul Robichaux, my esteemed technical editor, or myself. O’Reilly offers readers the ability to submit errata by going to the book’s catalog page on their site. Any errata that are entered are then made available to the author (me! ), who can then decide whether they are indeed mistakes or just “nice to haves”. A workflow process is available to transmit fixes made by the author to the publishing team so that updates can be made to new books. It can take significant time and error to recover…. Comment: Easy to fix, but should have been caught by the author or copy editor! It’s not the default OAB to be the only address list but instead it is the Global Address List. Comment: This falls into the category of “brain warp” when you are writing about something and transpose terms. Oh well, fixed now. Comment: For whatever reason, the software that Microsoft Press used to transfer content from the Word documents that I supplied into other Word documents in the template that they use to eventually generate the PDF for publishing can make a real mess of PowerShell commands. I suspect that the same thing happens with other example commands. We had to fix a lot of problems like this where words run together during editing but this example made it all the way through. If you intend to use the new Database Availability Group high availability feature, you need to run the enterprise edition of either Windows Server 2008 SP2 or R2; bear in mind that you can’t upgrade an existing Windows installation from the standard to the enterprise edition without a reinstall. According to http://blogs.technet.com/b/core/archive/2010/05/07/upgrade-einer-windows-r2-version-ohne-installationsmedium.aspx it is possible to upgrade from standard to enterprise edition and if I’m not completely mistaken, I’ve even done it once. Another comment was made about the third bullet on page 256 where I discuss CALs and made the point that you don’t want to pay Microsoft for any more CALs than you have to. I then said that CALs are calculated on the basis of mailboxes. In fact, the word “often” should have been inserted into this sentence as people usually think of the mailboxes used by individuals as one and the same count. In other words, if you have 100 mailboxes, you probably have 100 users and therefore should have 100 CALs. In any case, I’ve updated the text. In any case, if you have noticed something that should be fixed, please let me know by flagging the error on the book’s page on O’Reilly’s site as this will make sure that I see the problem and have a chance to inject a fix into O’Reilly’s publishing workflow. All errors have to be registered and processed by EOD on Tuesday, 28 February to be guaranteed to make it into the next print run. Sorry for the short notice… it’s what was given to me. I did ask if it would be possible to update the book with some information about Exchange 2010 SP2 and was told “no”. Essentially it’s a case of page count and formatting. O’Reilly naturally doesn’t want to change the page count as this will impact the publishing process. And any change that forces the flow of words to move across pages can have knock-on effects on the index, table of contents, references, and so on. This entry was posted in Exchange 2010, Writing and tagged Exchange 2010 Inside Out, Exchange 2010 SP1 book, Exchange 2010 SP1 books, Microsoft Exchange 2010 Inside Out. Bookmark the permalink. 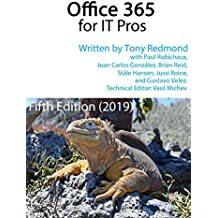 First of all I want you thank you again and say that Microsoft Exchange 2010 Inside Out is one of the most useful (“сoolest!”) book ever published about Exchange Server!